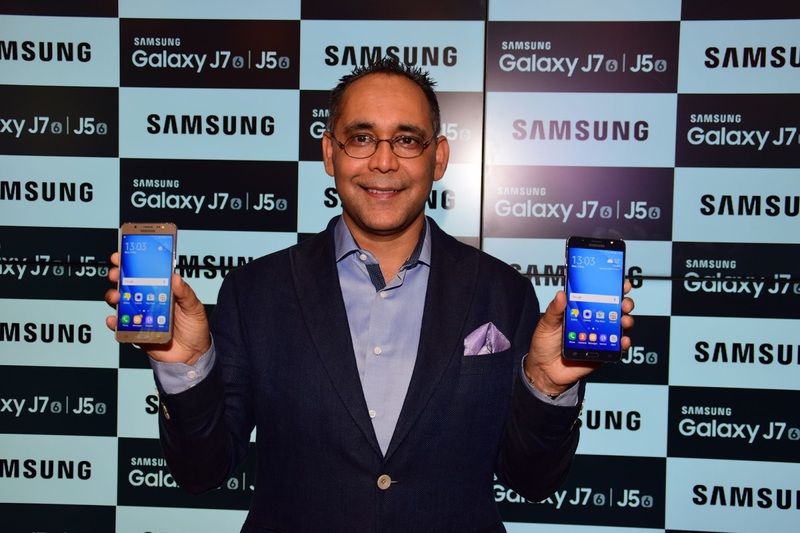 Samsung India today announced the launch of the 2016 editions of its popular Galaxy J7 and Galaxy J5 smartphones, offering consumers more choices in the J series, which is currently India’s largest selling smartphone range. The 2016 editions of Galaxy J7 and Galaxy J5 better the previous benchmark set by the 2015 editions and elevate the consumer experience to the next level. A new design language with a stylish metal frame and an upgraded display with an ergonomic height-to-width ratio are key changes from the predecessors. The smartphones’ performances have also been enhanced by incorporating better memory specifications. The new devices also include the signature ‘Make for India’ innovations that make J-series the most differentiated offering in the affordable segment. Samsung Galaxy J series is currently India’s largest selling series of smartphones with 4 models across price points in the affordable segment. Samsung has introduced a host of locally developed innovations as part of their ‘Make for India’ initiative. This includes a cost-effective 4G experience with the innovative Ultra Data Saving (UDS) mode. Developed in Samsung’s R&D centres in India, the UDS feature allows users to save up to 50% mobile data through compression technology and by restricting background data consumption from apps. Samsung India also launched an industry first S Bike Mode, a dedicated bike mode that lets consumers ‘ride tension free’ while encouraging responsible riding. This was based on the insight that two-wheeler riders receive a lot of unimportant calls and notifications while riding. The S Bike Mode’s urgent call alert system notifies callers through an automated answering machine that the user is riding and is unavailable to take calls. However, callers have the option to press 1 in case the call is urgent. As a safety feature, the in-built motion lock ensures that the rider has to come to a halt before they can answer the call. “The Galaxy J Series has received a tremendous response from consumers. We are proud to share that owing to our consumer-centric approach and ability to bring valuable and meaningful innovations to the Indian consumers, J series has become India’s largest selling series of smartphones. 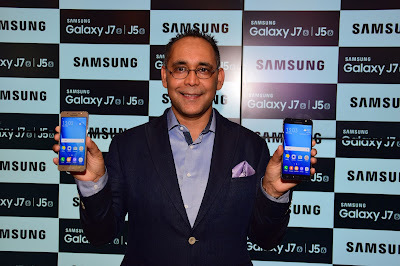 Given the tremendous success of the J Series, we are happy to announce the expansion of the portfolio with the addition of Galaxy J7 and Galaxy J5 2016 that will elevate consumer experience to the next level,” Mr Manu Sharma, Vice President, Mobile Business, Samsung India Electronics, said. Samsung Galaxy J7 and Galaxy J5 2016 sport a stylish diamond cut metal frame. The back panel has a brushed metal finish to further enhance the elegant design. All of this comes in an ergonomic, slim & sleek design. The Galaxy J5 2016 has an upgraded display size moving from a 5” to a 5.2” screen. The Galaxy J7 2016 will continue to sport a 5.5” but will have a lower width making it more ergonomic. Both devices feature HD super AMOLED displays that deliver excellent contrast ratio for deeper and more vivid colours whilst also giving consumers an enhanced range of colours for a more life-like viewing experience. · Galaxy J5 2016 is powered by Qualcomm Snapdragon 1.2 GHz Quad Core processor while Galaxy J7 2016 has an upgraded Exynos 1.6 GHz Octa Core processor. Both the devices have an upgraded 2 GB RAM for smoother & seamless multitasking. The Galaxy J5 2016 internal memory has been expanded to 16 GB which matches the Galaxy J7. Both devices support expandable memory up to 128GB to ensure consumers never run out of space. · The battery backup has been expanded on both devices with the Galaxy J7 2016 sporting an impressive 3,300 mAh and the Galaxy J5 2016 with a 3,100 mAh battery. 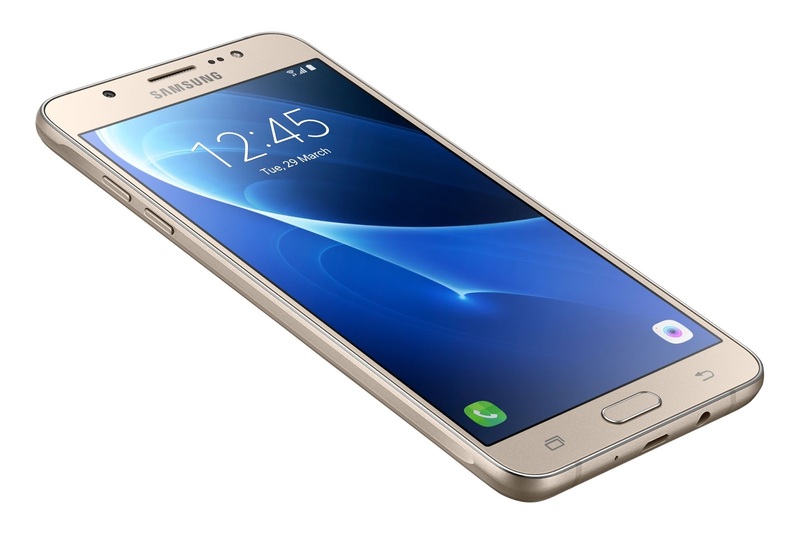 · Galaxy J7 & Galaxy J5 2016 will have the latest Android Marshmallow out of the box. Samsung Galaxy J7 and Galaxy J5 2016 come with an improved f 1.9 aperture in both front and rear cameras that deliver brighter images in low light conditions. Both devices also feature a front LED flash with a 5 mega-pixel front camera to cater to Selfie enthusiasts. The rear camera is a 13 mega-pixel shooter to capture high quality photos. Samsung Galaxy J7 and Galaxy J5 2016 come loaded with the newly launched S Bike Mode that allows riders to enjoy a tension free ride with unique features like urgent call alert and motion lock. They also have the Ultra Data Saving mode whereby consumers can save up to 50% on mobile and Wi-Fi data. Samsung Galaxy J7 and J5 2016 will be priced at Rs 15,990 and Rs 13,990, respectively and will be available in 3 colour options – Gold, Black and White. They will also have a double data operator from Airtel for up to six months that will allow consumers to get up to 30GB of free data. These devices will be available exclusively on Flipkart from May 10th 2016 onwards.